Torys congratulates Andrew Bernstein and Arlen Sternberg for their recognition as Lexpert's Rising Stars: Leading Lawyers Under 40. 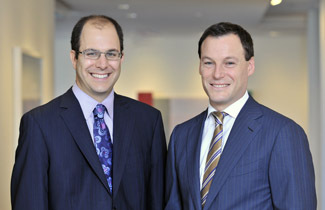 Andrew Bernstein's practice focuses on business law disputes, including intellectual property, commercial and public law matters. Arlen Sternberg's practice focuses on civil litigation in a variety of areas, including corporate and commercial, administrative, employment, defamation, sports and environmental law.